More and more people now are getting many kinds of weird sickness but science can find the answer. Well, it’s pretty much common sense to me. The food and lifestyle we choice is the main cause in destroying our health. For health is our wealth so be sure to take care of your own body. The tips in the image is for girls who are wondering how they can breast cancer. Perfect treat to your little kids, it’s not only delicious but also nutritious food for the kids. Simply heat the gelatin and fruit juice until the gelatin is dissolved. Remove from the heat and leave it to cool down. Then add the kefir and honey on the gelatin mixture and stir. Slowly pour the mixture into your favorite shape molds or pan. 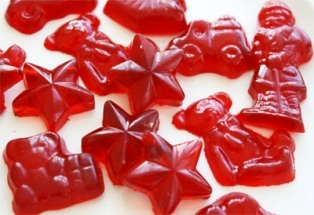 Finally, refrigerate for half an hour then remove the gummy into their molds and store into a container with seal. 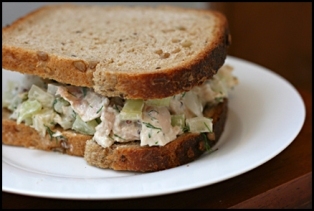 Simple and old-fashioned chicken salad recipe that is easy to make. Try this recipe now! Begin by placing the chicken, celery stalk and onion in a saucepan. Then let it boil and simmer for about 20 minutes or until the chicken is cook. Next is to drain the liquid and discard the onion and celery. Then allow the chicken to cool. Chop the chicken using a knife or you can just use the a food processor to chop the chicken meat. Mix the chicken with mayonnaise, salt & pepper, parsley, chopped celery, dill seed, lemon juice in a medium sized bowl and cover. Then refrigerate until chilled. Homemade biscuit made with gluten free flour and kefir. Serve this tasty and yummy biscuits to your kids! Begin by sifting in a mixing bowl the gluten free flours, baking powder, soda, sugar and salt together. Next add the butter, egg and kefir into the flour mixture then mix until it smooth. Cover and leave for about 30 minutes. 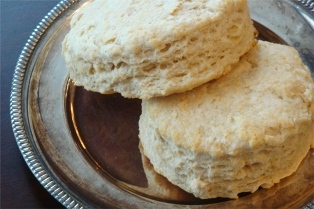 Gently roll out to ¾ inch thick and use a glass to cut your biscuits, it should make 9 biscuits. Then place on an un-greased baking sheet the biscuits. Finally, bake the biscuits for about 15-20 minutes. 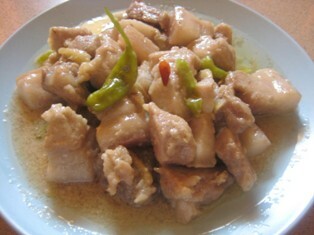 Try this popular Filipino dish the Bicol Express. A hot and spicy dish made with in coconut milk, pork and with chilies. Start by soaking the chilis in a water with salt. Leave for 30 minutes then rinse thoroughly and drain. Next, mix the pork, garlic, thin coconut milk, alamang, onion and salt. Then boil and lessen the heat then simmer for about 10 minutes. Then add the chilis and cook unitl the liquid evaporates. And finally pour the thick coconut cream then continue cooking until oil comes out from the cream. 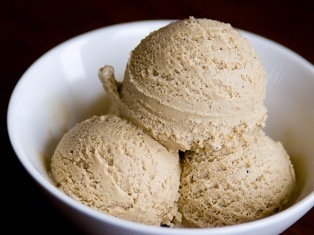 Homemade coffee ice cream recipe using kefir milk with coffee or espresso. It’s quick and easy to make just follow simple instructions. In this recipe you can use kefir made with cow milk, goat milk, or coconut milk. In a large bowl, pour the hot coffee or espresso and sugar then stir until sugar is dissovle. Next is to whisk the coffee-sugar mixture with remaining ingredients into the large bowl. Then refregerate for about 1 to 2 hours or follow the manufacturer’s instructions. 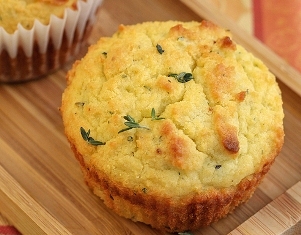 These delicious muffins are fluffy and have a slight tangy taste. I add kefir on these recipe because nothing beats the flavor and texture of muffins baked with kefir. Preheat oven to 350F and line a muffin tin with cupcake liners. Then sift together in a bowl the tapioca flour, coconut flour, salt, baking powder, and baking soda. On a mixing bowl, whip together the butter and honey on high speed for a few minutes. Next is to add one at a time the eggs and whip until combined before adding another egg. Then into the mixture add about a third of the dry ingredients and whip until combined. And add about a third kefir and whip again. Repeat the previous two instructions until the dry and wet ingredients are completely combined. Add the herbs this time and whip for 30 seconds. Pour the batter into the cupcake liners. Then bake afterwards for about 25-28 mins at 350F.